Virtually everyone is familiar with the SanDisk name, likely as a result of the broad array of flash media available for numerous devices. They’re a well-respected brand with some very high performance parts, so much so that if you’re not careful, you’ll find yourself with a counterfeit part. So, it should come as no surprise that they have released a line of solid state hard drives as it falls right in line with what they do best. SanDisk entered the SATA III SSD market with great fanfare. The company is a pioneer in the flash market and even co-owns a NAND flash factory with Toshiba. Because of its great performance and positive reviews it gained from experts, we included it in our best SSD list for 2013. You can view this list and find out more high-end SSDs. The reviews of this product fill the Internet and I do not suppose I can make any new addition to what was already written, and this effort propound in this essay is just a collection of the substances of the experts’ reviews on this drive, with the awards this drive won from them. The SanDisk Extreme 240GB SATA 3 SSD is a definite recommendation as it’s introductory price is as good to see as it’s performance. In fact, the entry of the Extreme into the market is very encouraging as it might be a sign of lower prices to come. If there were to be any recommendations for SanDisk execs, I might suggest a five year warranty vice three, a desktop adapter bracket, and I have to admit that I think a migration kit would have been a no brainer for this SSD, especially because of it’s low price. 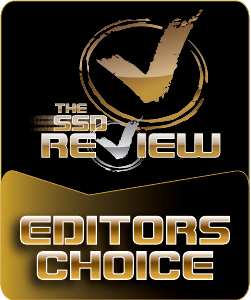 Congratulations to SanDisk as this SSD has earned our Editors Choice! The SanDisk Extreme SSD boasts some of the fastest speeds we have recorded for a client SSD, with exceptionally strong 4K random read and random write speeds. SanDisk delivers a mighty trifecta to consumers with the Extreme SSD – class leading performance, support and pricing. Switch to an SSD as speedy as this and your days of making a cuppa while waiting for the PC to boot will be long gone. Throughout this review, the SanDisk Extreme has gone head to head with the best and fastest SATA SSDs currently available. The SanDisk isn’t the fastest SSD in this article, however, it is the fastest 120GB SSD I have tested, and with very aggressive pricing, it is most certainly the cheapest SSD I have tested. It’s been refreshing to be able to test an SSD at a price point that most mainstream users will be able to afford. As mentioned above, the 120GB SanDisk Extreme isn’t the fastest SSD, but it has competed extremely well in these tests, even when up against SSDs that cost up to five times more than the SanDisk Extreme 120GB SSD.I’m very impressed. [*]. Silky smooth operation as a system drive. [*]. Excellent sequential reading performance. [*]. Very good sequential writing performance. [*]. Outstanding 4K random I/O performance at high queue depths. [*]. TRIM support under Windows 7. [*]. Fast operating system start-up and shutdown times. [*]. Including a 3.5 inch to 2.5 inch drive converter bracket, would have been a nice addition. SanDisk’s Extreme series represents the entry of a serious competitor into the already crowded high end SSD market. For the most part, SanDisk has successfully differentiated themselves from the competition by delivering an impressive drive using a potent controller / NAND combination and focusing upon value without sacrificing performance. Throughout our testing, this drive truly did deserve its “extreme” moniker. In the end, even though we could have hoped for even more performance, the SanDisk Extreme 240GB is particularly impressive. For its excellent price we award this drive our Dam Good Value award. For its ability to hold its own against most 16 NAND IC equipped SF2281 based drives we also award it our Dam Innovative award. If you are looking for a fast 240GB SSD, the SanDisk Extreme deservers to be on your short list for consideration. [*]. So cheap that there is zero reasons to not buy another SSD, even if you don’t need one! Given the many strong points of the SanDisk Extreme SSD, it’s tough to put your finger on one thing and say, “this is why it’s really good.” The performance is really good, but the price coupled with the performance means it is leading the consumer SSD class right now. There are several very good performance SSDs on the market and there are several low cost SSDs on the market, but none of them tie it all together like the SanDisk Extreme.